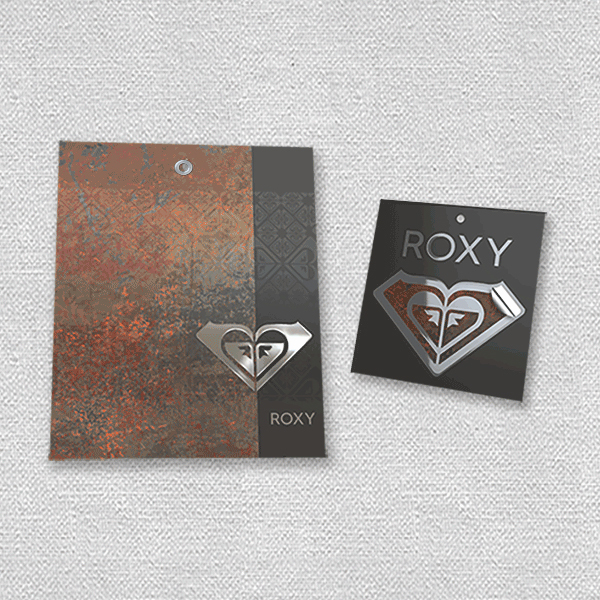 roxy hangtags - Polar Purple Creative, LLC. Project involved researching upcoming Spring/Summer fashion trends. Forecasted themes colors, and materials were combined with newly designed patterns and graphics to create apparel trim and labeling options. The intent of this project was to enlighten the client to the possibilities available and the ways in which forcasted fashion trends could influence labeling, trim and packaging for their garments.